With both the Fuchsia City Gym and Saffron City Gym defeated, you will next need to venture to Cinnabar Island to find the seventh Pokemon Gym. In order to reach Cinnabar Island, you will first need to surf your way across Route 19, found just south of Fuchsia City. 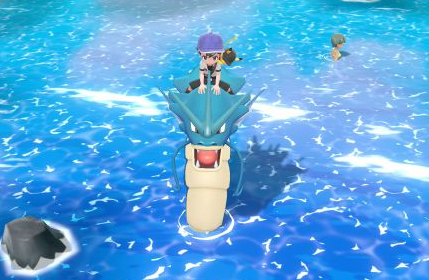 Remember, you can learn the Sea Skim Technique from the surfer near Lapras in Fuchsia City, allowing you to travel across waters. Route 19 is a small sea route, containing just a few Wild Pokemon and Trainers found in the water. After defeating the Elite Four and starting the Master Trainers Challenge, you will find a number of Master Trainers on Route 19. In total, there will be three Master Trainers to defeat.